Since posting the pictures of a depressed individuals MRI scan, we have had overwhelming feedback surrounding the relief this has brought to clients who live with depression. 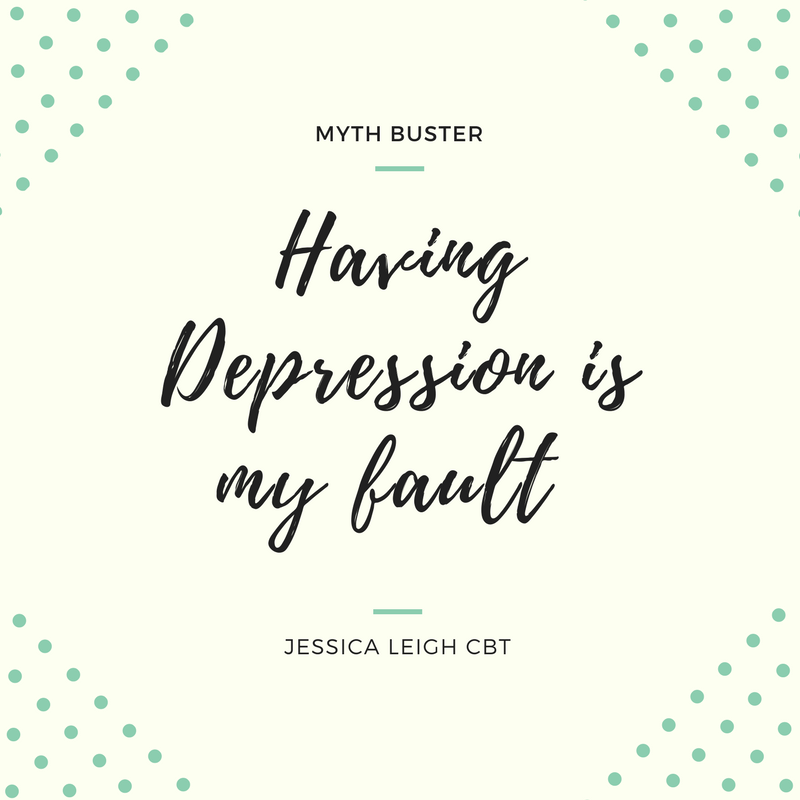 For this month’s blog, we thought it would be helpful to tackle the myth that depression is your ‘fault’. We often feel that if we were ‘stronger’, we wouldn’t have depression, that if ‘we could just get over it and wise up’ that the depression would merely dissipate. As a mental health professional, I can assure you that this is not the case. Depression has a direct impact on and its functioning. Depression can be a result of a chemical imbalance, trauma, or negative childhood experience. NCE’s or negative childhood experiences can stem from a critical parent to bullying. The reason for this being is that from the ages of 0-18, your brain is forming, and these NCE’s can have an impact on how the mind is formed, and through no fault of your own, your thought patterns, thinking styles and chemical levels are formed without your control or input. There is even evidence that supports changes in your brains synapses if you are left crying a little too long as a baby, that is how sensitive that brain can be. This part of the brain is involved in thinking, planning, organizing, problem-solving etc. This is why when you’re depressed you find it difficult to think clearly, and organizing your day seems extremely challenging. As the name suggests, this impacts your sensations, which is why extreme depression comes with a feeling of being ‘numb’ or void of emotion or sensation. The parietal lobe controls your perception and making sense of the world, including spelling. This is why reading can often be challenging whilst depressed. The temporal lobe’s job to memorize and understand language. This can prove difficult when an individual’s depression impacts memory, leaving you feeling ‘fuzzy’. Difficulty in memory can impact on driving, conversations, job functionality and day to day living. According to the NHS, the recommended treatment for Depression is CBT, or Cognitive Behavioural Therapy. CBT teaches you skills in order to challenge maladaptive thinking patterns, which in turn change the brains chemistry, allowing for change in different areas of the brain. In conclusion, it can be exceptionally easy to blame yourself for having depression, because it is hidden. If you were off work with a broken leg, we would have no guilt or shame, but with depression, we think we’re just making it up. In conclusion, please review below the comparison between a standard MRI and an MRI of a depression individual, I think the difference speaks for itself. Moving forward into your week, please remember that just because something isn’t 'physical', doesn’t make it any less real.